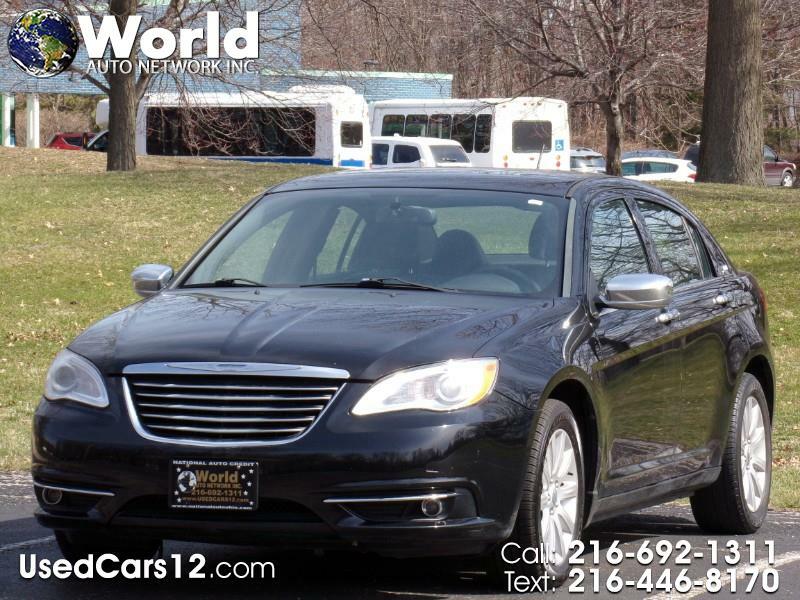 Used 2013 Chrysler 200 Limited for Sale in Cleveland OH 44110 World Auto Network Inc.
Low Prices and great customer service generates a satisfied customer and a repeat business!. We Are an A rating business with BBB . 60 Photos, a video and free CarFax ON EVERY CAR AT http://www.usedcars12.com. We have all kinds of Finance; Buy here pay here, In House Investors finance. Credit Union Finance. Local Bank Finance and International finance (any where in the USA). With Low Down payment Starting $500 down. We Can Get you Financed. If you have Good Credit, Bad Credit, No Credit, Divorce, Repo, First Time Buyer, Poor Credit Score, Foreclosure, Collections We can get you Financed. Optional Extended warranty will cover you any where in the USA. Mike Alnadi 440-342-7575. Message: Thought you might be interested in this 2013 Chrysler 200. Sales Tax, Title, License Fee, Registration Fee, Dealer Documentary Fee, are additional to the advertised price.